Announcement NEW SUMMER scents releasing in May! NEW SUMMER scents releasing in May! Another Bloke and Dame candle I love! I love the wood wick, the clean burn, fantastic aroma, and the beautiful aesthetics. Not my first purchase of these candles and won't be my last. The perfect size. Nice scent that isn’t overwhelming and just enough crackling from the wood wick not to be distracting. A wonderful way to try different scents. Each one is lovely. Not to strong and not at all overwhelming. I can’t possibly chose my favorite! But will definitely be purchasing a few in the full size. Just lovely! Used one smudge stick and felt better energy in the home immediately. Nice light but definite scent. Will use regularly! A great item, and communication from seller was excellent. Thank you. YAY! Items are now listed in the shop! New scents and old. Including Wandertag, a crowd favorite. 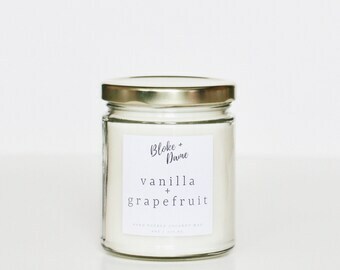 To understand the WHY behind Bloke + Dame Candle Co. check out the updated about section on our Etsy page! And only a few candles left of our old branding. New scents available by December 1st!! As many of you can relate, my journey to healthier living started after I had my children. As a new mother my eyes were opened to the toxins that were in our food and in the products we used. Slowly I began to educate myself and replace items in our home. It has been ten years since this journey began and one area of my life I new I didn’t want to give up entirely was the beautiful ambiance and aroma of candles. 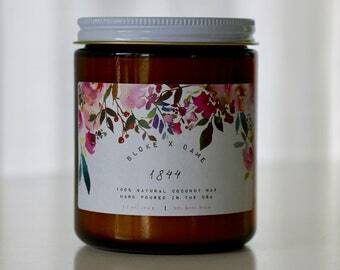 I love a good beeswax candle, pure and unscented, however, I saw a need in the market for a candle that was clean burning and still smelled great! 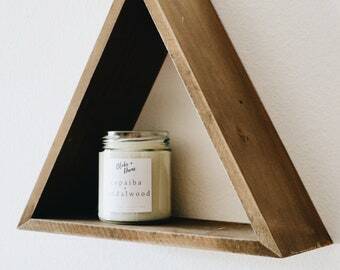 I’m a maker to the core and so one day I decided to try my hand at creating a candle I trusted to burn in my own home. 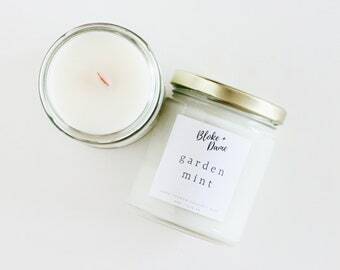 Tons of research and time has gone into the candles I now sell and I feel confident that I am creating one of the purest and kindest candles around. The first hurdle was the wax, I knew that the largest toxic load of a candle comes from the petroleum based wax (actually it’s the sludge at the bottom of the oil barrel, *yuck*) used in most candles available on the market. Searching for a clean and ethical option led me to coconut wax. It’s all natural, sustainable, and clean burning, it was PERFECT! Next I chose wooden wicks because I knew I wanted to stay as sustainable and clean as possible. Our wooden wicks are sourced from Forest Stewardship Council Certified Mills and create a relaxing and calming ambiance. They provide a wonderful scent throw and produce an even burn pool. Last but not least was the scent. So many to choose from and very little information is available on the market. However, after tons of research, I found beautiful phthalate free scents that are highly tested for pureness and are blended with essential oils. 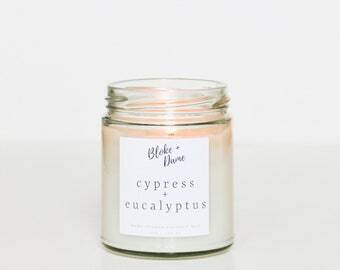 Each and every one of our scents pass Prop 65 criteria and as someone who is incredibly proactive in protecting my family from toxins, I feel comfortable burning them in my own home. Not only are our bodies important to us our earth is as well. From the wax to the wicks and even our packaging, we try to make as little impact on our planet as possible. I hope you enjoy our candles and they become a beautiful part of your home. Hello I'm Melissa! If you can't find me in the kitchen I'm probably drinking wine and watching You've Got Mail for the millionth time. Please trim your wick to 3/16" before each use. Without trimming, the flame can grow higher than it should. If the flame grows too large, blow out your candle, trim, and relight. For wooden wicks a finger nail clipper works best or simply pinch off the burnt portion with your fingers. To ensure your candle burns evenly every time please keep it lit for 2-3 hours during first use. This will allow the wax to evenly distribute across the top of the candle, instead of pooling around the wick and tunneling. 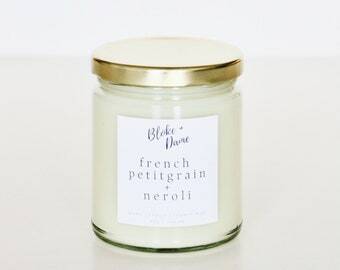 Allowing a full melt pool will also allow the candles beautiful scent to fill the room! Your glass container can be repurposed! Simply spoon out remaining wax and wash with hot soapy water.